A blog can also have a footer, usually found at the bottom of the blog, that shows the post date, the author, the category, and the 'stats' (the number of comments or trackbacks). Today, more than 5 million blogs can be found on the Internet. This figure is continuously growing, as the availability of various blog software, tools, and other applications make it easier for just about anyone to update or maintain the blog (even those with little or no technical background). · Personal bloggers - people who focus on a diary or on any topic that an individual feels strongly about. · Business bloggers - people who focus on promoting products and services. · Organizational bloggers - people who focus on internal or external communication in an organization or a community. · Professional bloggers - people who are hired or paid to do blogging. 1. Be patient. Pro blogging requires a lot of time and effort, not to mention a long-term vision. 5. Do not bore your readers. Focus on the layout. White spaces, line spacing, and bigger fonts make a blog welcoming to read. 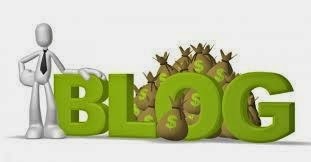 Certainly, it is possible to earn money from blogs. One just needs to take risks, the passion, and the right attitude in order to be a successful pro blogger. Enjoy.